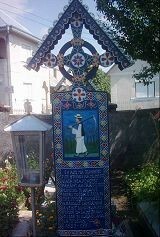 This walk takes you to the ‘Painted Monasteries of Bukowina’. 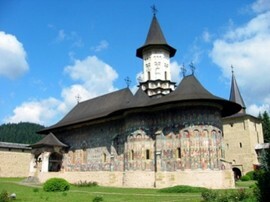 These monasteries are unique because of the mural paintings on their exteriors, pictorial texts combining Byzantine forms and Western book miniature painting with Romanian folk tradition. Self-Guided: £640 per person based on two people sharing with a single supplement of £135. Train (Rapid or Intercity) Bucharest – Suceava – Bucharest. Day 1: Arrive Bucharest. Overnight in ***hotel in Bucharest. Day 2: Short walk to train station (3 min.). Pleasant train journey to Suceava. Transfer to Putna Monastery. Two nights in a friendly guesthouse close to the monastery. Day 3: Putna monastery, a foundation of Stefan the Great, is the most important spiritual center of Romanian Orthodoxy and played a significant role in the Romanian history. 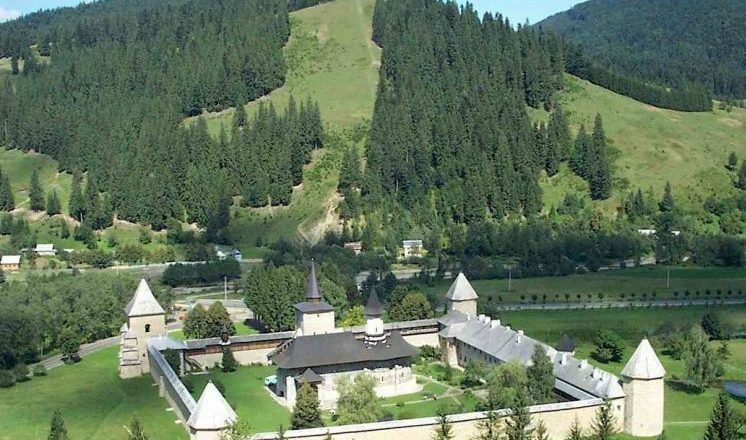 Doing a circular walk, you will visit Sihastru monastery and have a magnificent view over Putna from one of the hills. 4 hours walking approx. Overnight Putna. Day 4: From Putna you take the old monastery path to Sucevita monastery. In summer the forest is full of berries and wild mushrooms. The undercoat of emerald green on which the frescoes are painted (1596) gave the monastery the name ‘a Poem in Green and Light’. 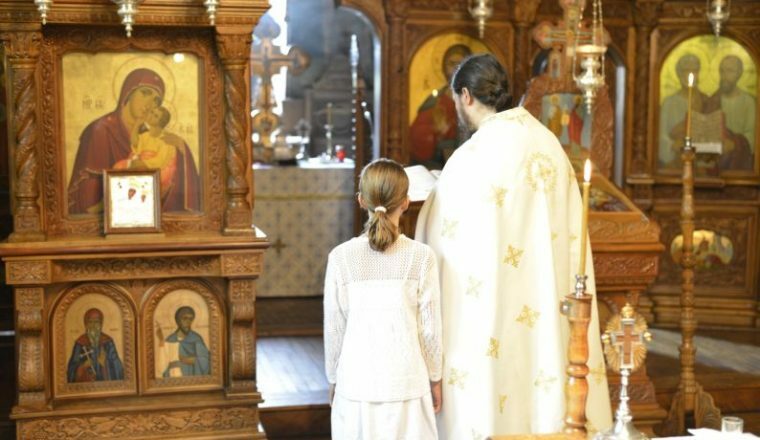 The iconostasis is considered to be the most beautiful in the country. As Sacherverell Sitwell wrote in 1938: ‘The first view of the painted church of Sucevita is among the most impressive revelations of the Byzantine world’.5 hours walking. Overnight in Sucevita (2 nights in welcoming guesthouse with excellent food). Day 5: A transfer by car over the Ciumirna Pass, with magnificent panoramic views. 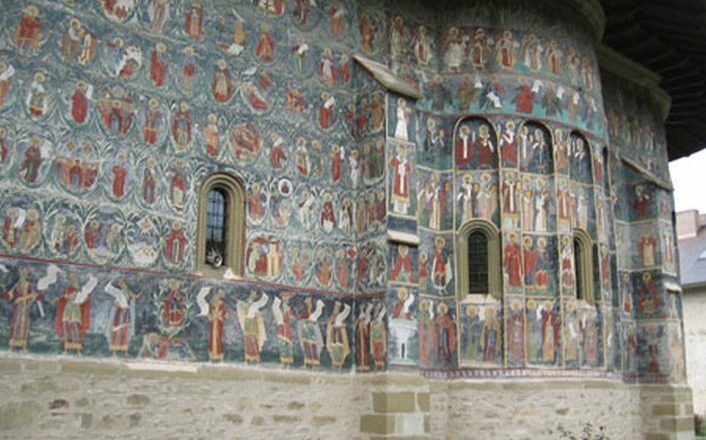 Visit Moldovita monastery, famous for its brilliant frescoes (‘a parchment dipped in blue’ is the description of the Tree of Jesse), including the fine Ladder of Paradise. Back in Sucevita a circular walk to enjoy a wonderful view over this impressive, fortified monastery. 3 hours walking. Overnight Sucevita. Day 6: Short transfer to Solca village. 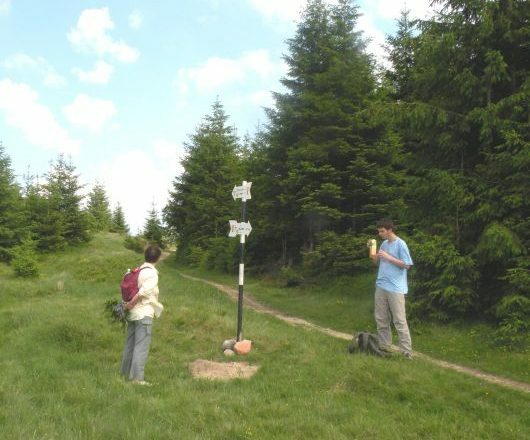 The walk to Humor takes you through pastoral scenery and villages founded by Poles in the Hapsburg period. The way is still used by horse-drawn hay carts, whilst in the fields the sickle and scythe are still the main implements at harvest. 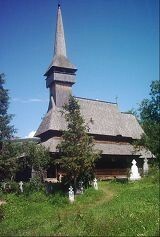 The 16th century monastery church at Humor is painted in blues, greens and reddish browns (from oriental madder pigment). 4.5 hours walking. Overnight in Humor (2 nights in very pleasant English-speaking guesthouse). 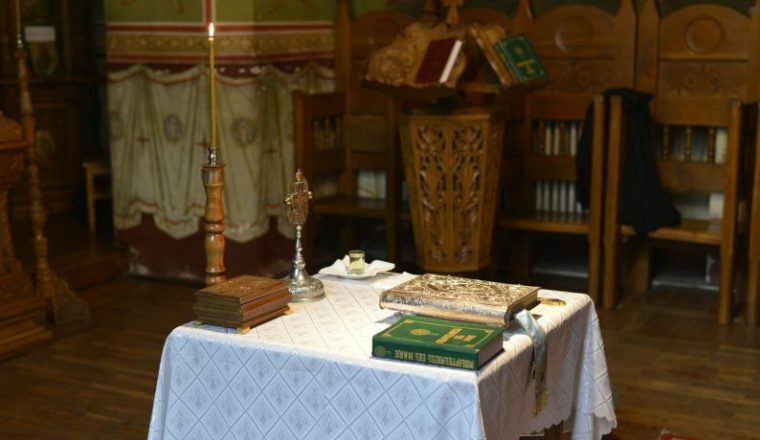 Day 7: Visit Voronet monastery. Its superb frescoes gave it the name ‘the Sistine Chapel of the East’ – architectually it combines Gothic and Byzantine features. Continue up to the Objina with fine views over the valley and villages and back to Humor. 4.5 hours walking. Overnight Humor. Day 8: Transfer to Suceava. Train to Bucharest. Departure. Extra night possible in Bucharest on request. Possibility to upgrade in Bucharest – please ask if you wish to do so.